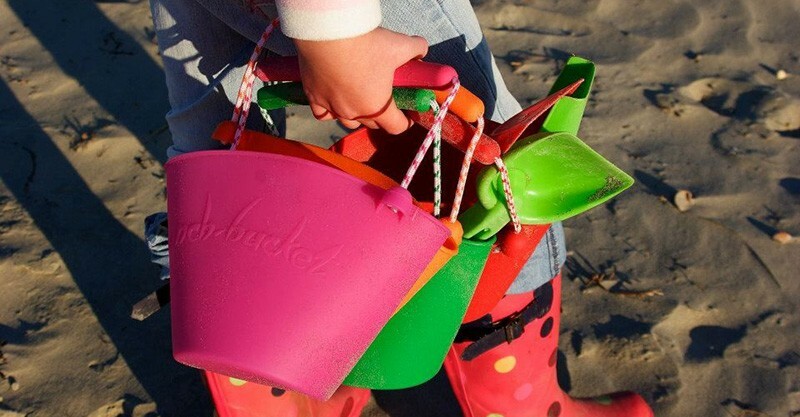 No matter if it’s the beach or the bath, the Skip Hop Scrunch Bucket is this summer’s must-have item. It’s strong enough to build the tallest of sandcastles or carry water for moat making and hair rinsing. And did I mention you can roll it up and keep it in your car glove box or even a beach bag pocket? Yes, you can. 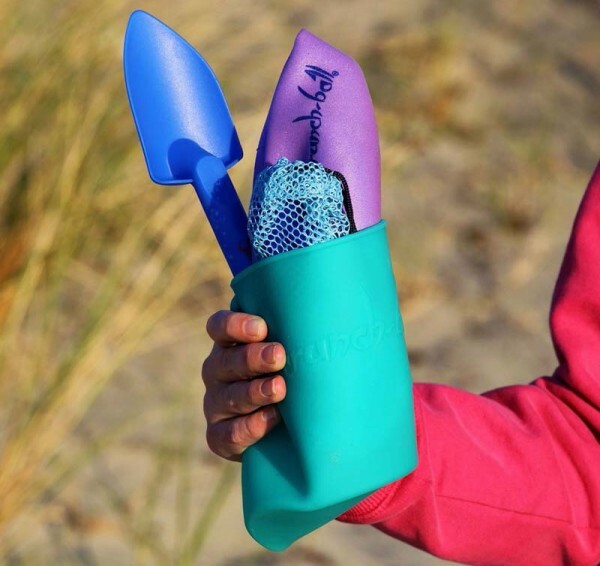 Roll it, fold it, scrunch it – the sturdy silicone build of the Scrunch Bucket folds down to fit in the smallest of places so you can take a bucket just about anywhere without taking up a bucket load of space. Available in five brilliantly bold colours, they’re excellent household storage for bath toys, stationery and I’m more than curious about how many Lego minifigures I could fit in one of these gems. You can find Skip Hop Scrunch Buckets, priced $14.99 each at Toys R Us stores around the country or alternatively, order online and have them delivered to your door!